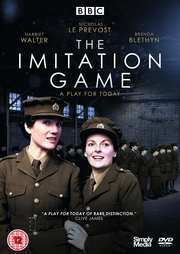 One of a recent batch of releases of classic ‘Play for Today’ episodes (the others being ‘Our Day Out’ and ‘The Fishing Party’, both reviewed on this site), this 1980 play was penned by Ian McEwan (The Children Act) and was inspired by stories of women who helped to crack the Enigma Code during WWII. 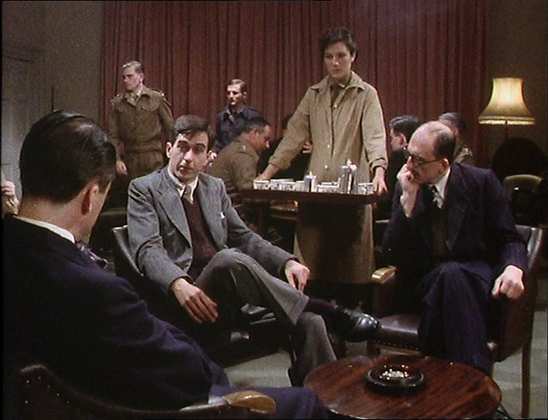 Directed and produced by BAFTA-nominee Richard Eyre (Notes on a Scandal), it starred Harriet Walter (Sense and Sensibility/The Sense of an Ending) in her first major screen role alongside Oscar-nominee Brenda Blethyn (Vera) and BAFTA-nominee Patricia Routledge (Keeping Up Appearances). Most readers of this review will have heard of or seen the 2014 film release, based on this screenplay, and featuring Keira Knightly, Benedict Cumberbatch and Matthew Goode. Well, it all started here in the original TV play. I haven’t seen that version so I have no idea how it compares. 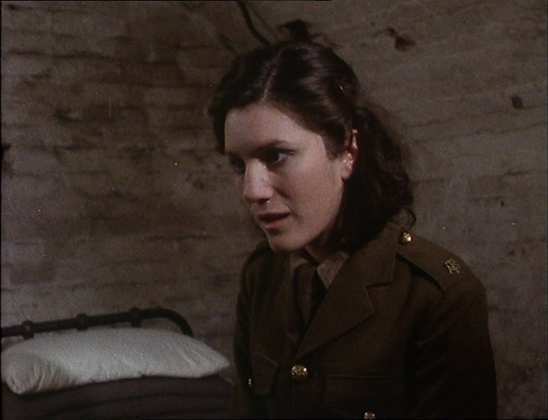 19-year-old Cathy Raine (Harriet Walter) lives in Frinton on Sea in 1940, mid-way through WWII. Like all other young ladies in the area, she is expected to spend the war working at the local munitions factory. 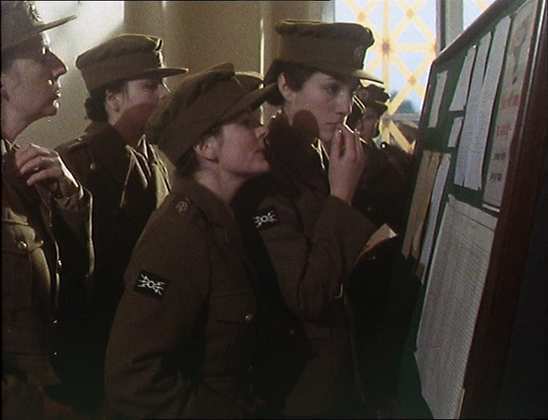 But for a spirited youngster with so much more to give, she elects to go against the wishes of her dominating father (Bernard Gallagher) and her weasly boyfriend Tony, and sign up for the Auxiliary Territorial Service. There she befriends working-class Mary (Brenda Blethyn). They become close and venture down to the local pub completely unchaperoned (gasp!) to have a drink and check out the local male talent. Naturally, having girls on the premises goes down badly with the local chaps and other soldiers and when the landlord attempts to move them on, there is an unruly scuffle. 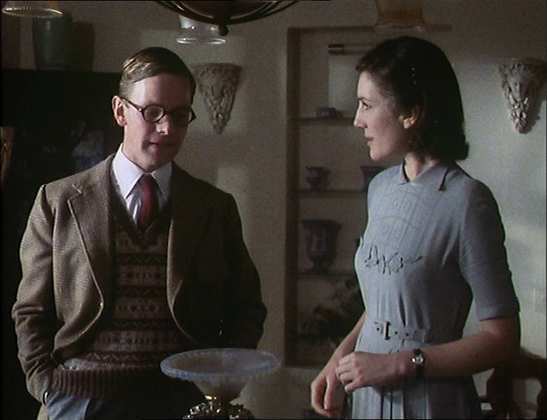 As part of her punishment, and to get these feisty girls out the way, Cathy is moved to Bletchley park where again, due to her gender, her tasks are all incredibly mundane and life is pretty dull until be becomes friendly with a (Turing-like) Cambridge mathematics don, John Turner (Nicholas Le Provost). 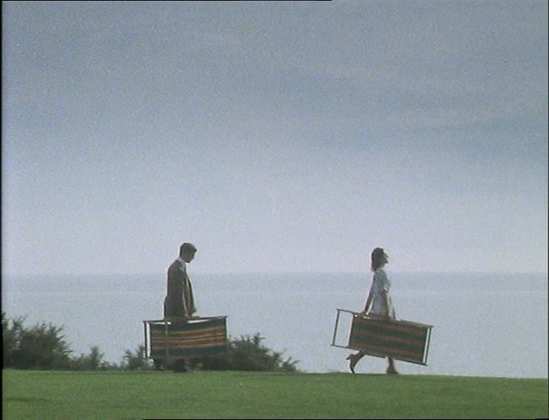 They end up going to bed together, which ends badly – a fact which Turner blames on the inexperienced Cathy, citing her jealousy of his work as the motive. In the meantime, Cathy is being kept in the dark by the secretive male hierarchy – until she stumbles upon a secret intelligence file in Turner’s room. She eagerly reads it. After all, the men seem to know everything whilst the female staff have no idea of the significance of any of their messages. But when she is caught, it leads to her imprisonment. 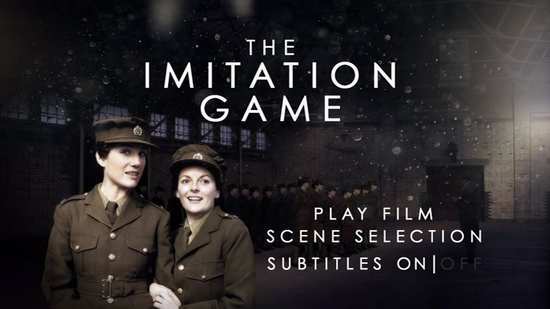 ‘The Imitation Game’ runs a little longer than the average ‘Play for Today’ at a feature length 92 minutes and it made a huge impact on its original airing, helping fuel the righteous rise of feminism in the workplace where the ‘glass ceiling’ for females was still very much a feature. But quite apart from the film’s political significance, it was a really well executed drama based on a nicely paced screenplay by one of Britain’s brightest literary talents. Harriet Walter’s powerhouse performance as Cathy, along with an impressive supporting cast and some serious period production value all contributed to this TV play’s success. Shot on video (unlike the earlier ‘Our Day Out’ and ‘The Fishing Party’ which were both shot on 16mm film), it actually looks a little more dated as a result, but image quality is, nonetheless, pretty good throughout. It's great that Simply Media have taken to releasing some of these archival gems so if it sounds like something you'd enjoy, please hop along to their site and order it. We need to encourage more of these types of releases but they can clearly only happen if they remain commercially viable.